One jump. One moment to make history. Congratulations Izmir Smajlaj - Albania's first ever European indoor gold medalist! 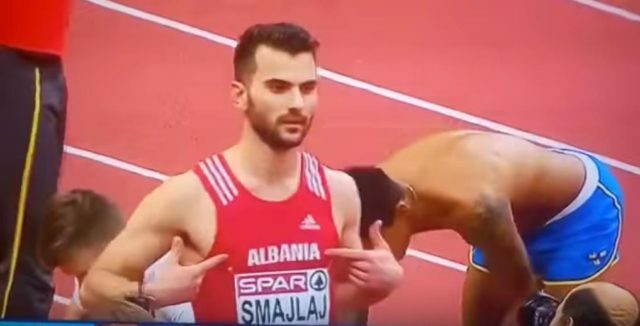 No one could have imagined the excitement which would take place in the final round as Albania's Izmir Smajlaj, 23, took his place on the runway, in the bronze medal position after a second round 8.02m. 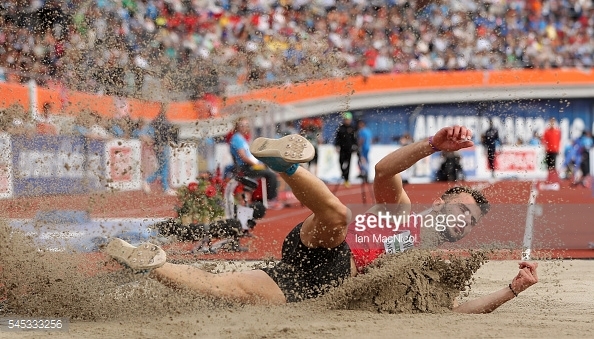 His chances of gold looked over as he had a foul, a leap of just 6.58m, and then another foul before this final attempt. Surely, he was never in the form to win. 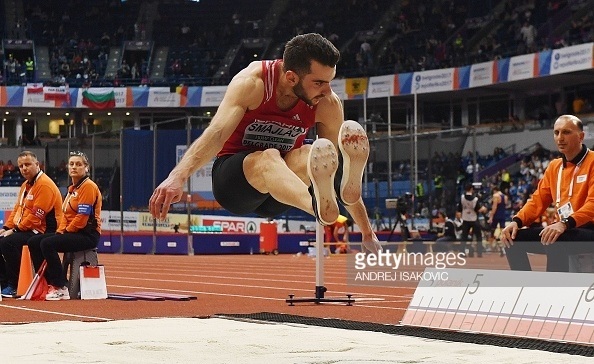 But what a last jump it proved to be as Smajlaj, who was ninth at last year's European Championships in Amsterdam, amazingly reached 8.08m, the same as Torneus, to break his own national record of 7.98m. And even though he had those two fouls, Torneus had had three and on countback, Smajlaj was the champion as he won Albania's first ever medal in the history of the European Athletics Indoor Championships. “I am feeling so good right now and I would like to dedicate this medal to my father,” said Smajlaj in a competition where Ukraine's Serhiy Nykyforov won bronze with 8.07m, just a centimetre away from the top two.